Though running along Highway 1 is not generally considered wise, that doesn’t mean runners have to be deprived of a scenic seaside road run. 17 Mile Drive, which spans (oddly enough) 11 miles of coast between Carmel and Monterey, is an absolutely gorgeous road with a nice, flat paved surface. 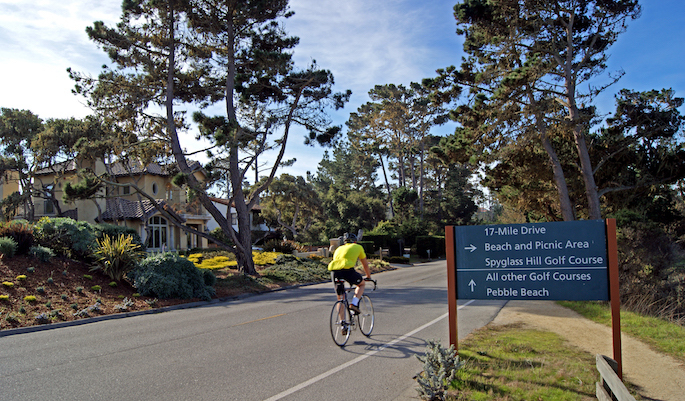 While the entire road is acceptable for running, the best section, with the widest shoulder, is the 4 miles (miles 6-10), between Cypress Point and Asilomar. 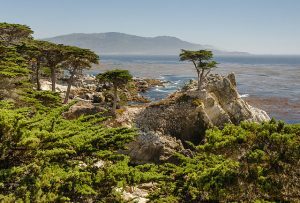 At Asilomar, the road cuts inland into the heart of Monterey. If you do plan on running a longer stretch of the road, just plan for a time of day when there is not a lot of traffic. Late afternoon/evening glare can make it tough for cars to see you on the narrow sections of road. But as long as you keep safety first in mind, this winding coastal route is absolutely worth it.